Garsington school was founded in 1840 by Rev’d Ingram, the President of Trinity College at the time. The old school building was built on the open common known as Garsington Green. Following its enclosure to Thomas Halsey, he leased the land for 999 years to the president, fellows and scholars of Trinity with the previso that a school be built there in accordance with the principles of the Church of England. 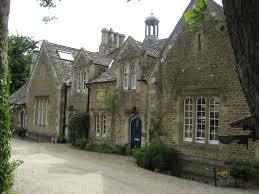 In the 1960’s it moved to its present location on the Wheatley road and is a thriving school. The links between the church and school are as strong as ever, with the Vicar regularly taking collective worship and the school visiting the church for special occasions and classes. At Harvest time the Year 2 grow their own wheat which they then make into flour to bake as bread. For the last two year’s this school project has culminated in the children making a traditional Harvest loaf which is then presented to the church to use at the Village Harvest Festival. In 2014 for the first time the school and church collaborated on the Experience Easter project which erects a number of interactive prayer stations around the church. These tell the Easter story and enable you to engage more deeply with the events of Easter, from walking the road to Jerusalem to tasting the sweetness of the resurrection. 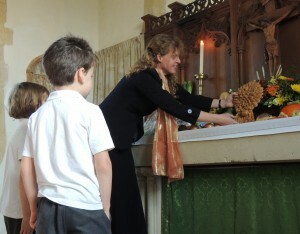 It was a wonderful success and enjoyed by church goers and school children alike. The school also hosts the two annual Stepping Stones workshops which take place around Christmas time and Easter. The former is very well attended and followed by the Christingle service on the Sunday. The school choir have also taken the leading light in our Carol Service and at the fete. Last year they gave their own concert in the church to celebrate the restoration of the bells.